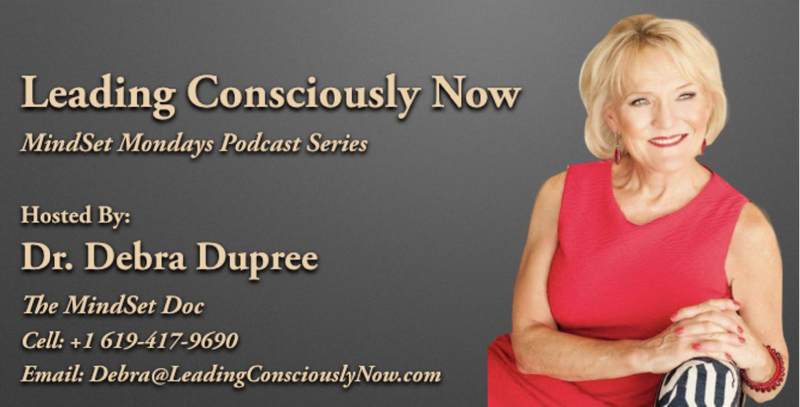 MINDSET MONDAYS | Dr. Debra Dupree, Relationships At Work, Inc. Leading Consciously Now is a Global Digital Age Podcast for Emerging Female Leaders and Advancing Professionals where we connect, listen AND engage in topics to expand your knowledge, perspective and insight! The LCN Podcast is designed to provide support for emerging female leaders and advancing professionals by sharing insight, perspective and knowledge from subject matter experts like YOU who are the real deal with raw stories of women challenged in emerging who they are. This show is intended to deliver from both a female and a male perspective about how they see women impacted in moving ahead and making a difference in the worlds they influence! Are you interested in being our guest? This Podcast series revolves around six topics. Interested in seeing what we’ve done in the past? Click here. Complete the GUEST SPEAKER Profile as soon as possible but not later than 2 weeks prior to your interview so we can best support you before, during and after the interview. This will be an awesome journey and we are excited to have you as part of our LCN community! The title for your topic or message along with 4-5 questions that will help bring the essence...the brilliance of your message.